Barnsley striker Cauley Woodrow tweeted that Barton allegedly confronted Reds manager Daniel Stendel after the game. South Yorkshire Police are investigating an incident in the tunnel at Oakwell have bailed a man who was arrested on suspicion of racially aggravated offences. "With regards to the alleged incident on Saturday following our game against Barnsley, I emphatically deny all the allegations made," Barton posted on Twitter. "Given this matter has not been formally closed, it would be inappropriate for me to make any further comment." Woodrow, whose tweet was later deleted, claimed the incident left German coach Stendel with "blood pouring from his face". South Yorkshire Police are keen to gather any available video footage of the event. "A man arrested on suspicion of racially aggravated public order offence and racially aggravated assault, in connection to an incident at Barnsley Football Club on Saturday 13 April, has been bailed until next month," read a police statement. Barton is said to have confronted Reds boss Daniel Stendel in the tunnel following Saturday's game, which ended in a 4-2 victory for the home side at Oakwell, and South Yorkshire Police are investigating. Harvey told BBC Radio 5 Live's Sportsweek programme: "As an off-the-field matter the tunnel is still in the domain of the referee but we will work closely with everybody to ensure it's not a case of who deals with the matter but actually the matter is dealt with properly. Harvey added: "I was stunned when I heard. We have all heard of tunnel fracas as players have left the pitch. It's the first instance I've heard, described as it has been, by those who witnessed it. "It's disappointing and it comes on the back of a number of challenges which have come to the surface for football to deal with." Joey Barton will face the media for the first time as a manager on Monday when he is unveiled as manager of Fleetwood. The former Burnley midfielder's 13-month ban for betting on football matches ended on Saturday, allowing him to finally take up the role as boss of the Sky Bet League One club. Barton was announced as John Sheridan's successor in April on a three-year deal but was unable to start work until his suspension from football activities was served. After his ban finished Barton wrote on Instagram: "Delighted to take over as Head Coach of @ftfcofficial (Fleetwood Town). "Really looking forward to joining a forward thinking football club. #OnwardsTogether." Fleetwood welcomed Barton by posting a picture of the once-capped England midfielder holding a club scarf above his head on their official website. "The vastly-experienced 35-year-old, who excelled during his top-flight playing career with the likes of Manchester City, Queens Park Rangers and most recently Burnley, will take charge of the club's first team this summer with pre-season starting on Monday 18th June," said a club statement. Barton was banned by the Football Association in April 2017 for placing 1,260 bets on football matches over the course of 10 years. The ban was then reduced by five months following an appeal, allowing Barton to start his managerial career ahead of the 2018-19 season. Former Stoke defender Dionatan Teixeira has died aged 25, the Premier League club have announced. The Brazilian-born player, who played twice for Stoke's first team after moving to the club in 2014, was registered with Moldovan side Sheriff Tiraspol at the time of his death. Teixeira also played for Kosice, Slovan Bratislava, Banik Ruzina and Dukla Banska Bystrica and made eight appearances for Fleetwood Town during a loan spell from Stoke in 2015. A statement on Stoke's website read: "Stoke City extends sincere condolences to the family of former defender Dionatan Teixeira following his untimely passing at the age of 25." Chief executive Tony Scholes added: "Dionatan was a hugely popular member of our squad and it's difficult to comprehend that he has passed away at such a young age." A statement on the Sheriff website said Teixeira had travelled to his native Brazil in the summer and had been due to return to the club. No details were given about how he died. The Sheriff statement read: "We express our sincere condolences to the relatives and friends of Dionotan. He will remain forever in our hearts." Fleetwood have signed defender Joe Maguire from Premier League side Liverpool, the League One club have confirmed. The centre-back came through the academy at Liverpool but never made the breakthrough into the first team. Maguire, 20, has signed a two-and-a-half year deal at Highbury. League One Fleetwood Town have confirmed manager Steven Pressley has quit the club just 11 days before the start of the season. The decision was made this morning following a meeting. It was agreed it would be best to take the club in a different direction. ANNOUNCEMENT: Fleetwood Town can confirm we have accepted the resignation of manager Steven Pressley. 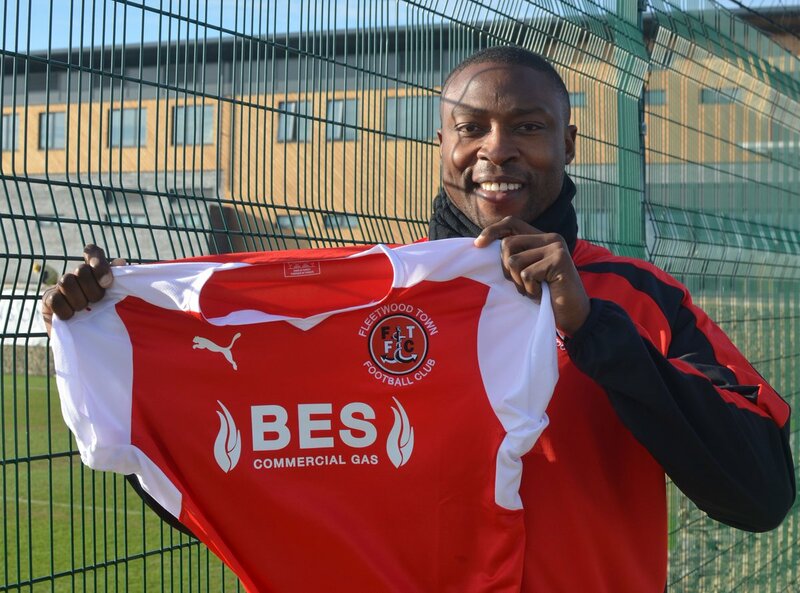 Former Newcastle United striker Shola Ameobi has signed for League One side Fleetwood Town until the end of the season. Ameobi, 34, has made 298 appearances in the Premier League for both Newcastle United and Crystal Palace and turned down a number of clubs to join Steven Pressley's side. Fleetwood Town have sacked manager Graham Alexander after their 5-1 defeat to Gillingham on Tuesday night. The former Scotland defender has paid the price for a poor start to the season which has seen them collect just nine points from their opening ten games.